ST. LOUIS — Ivan Barbashev's parents and younger brother travelled from Russia to watch him play for the Blues on Thursday night. The 23-year-old centre made the long trip worth it — and in a big way. 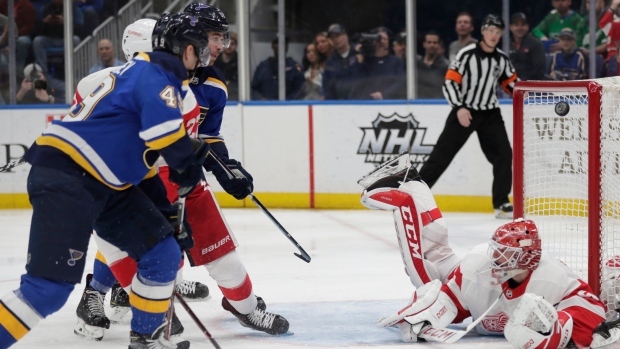 "They've got four guys in the rush the whole time, and they create a lot of offence through the back end," Red Wings defenceman Niklas Kronwall said of the Blues. "They're a good team."